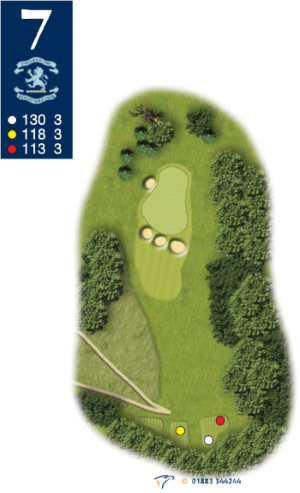 Club selection is most important on our shortest hole. The long thin green lies across you and is protected by bunkers. When the pin is at the back you might need 3 extra clubs. Just make a good swing.